Feel like you are doing so many things that you aren't doing them well? 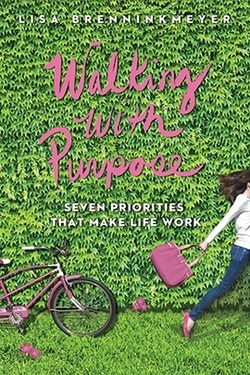 Uncover the key to living a busy life with inner calm by identifying key priorities and doing first what matters most. reach your child’s heart, create clarity in a cluttered home, find friendships that go below the surface. The abundant and purposeful life we were created to live is just around the corner. No one ever stops being a mom or a dad. So when our children become adults, we still worry about them—and want to care for them. One way we can care for them is to lift them up in prayer. When we do so, God's love for them-and for us-is unleashed. We are able to replace our concern with a love that comes from the heart of God. Our Father moves mountains of worry, leaving new hope in its place. 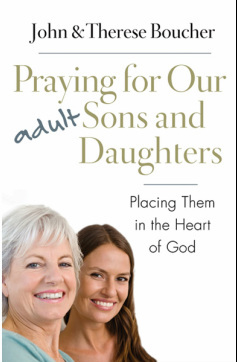 Learn to pray for your adult sons and daughters with the kind of power that makes a real difference in matters of the heart.